1. To invest with power. 2. To equip or supply with an ability; enable. At African Initiatives. “We empower people to change their lives” is something we probably say quite a lot when someone asks us the whys and wherefores of our work. But what does it actually mean? And is it actually a positive word at all? I read somewhere quite recently that ‘to empower’ or ‘empowerment’ are “pop psychology” phrases which “reaffirm boundaries of inferiority” between those of differing levels of wealth, of knowledge and of skills. A simple internet search brought up two definitions, ‘to invest with power’ and ‘to equip or supply with an ability; enable’ (www.freedictionary.com). 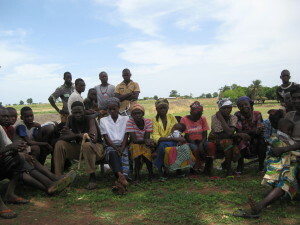 Yet empowerment means different things to different people; as a study done by our partners the Community Self Reliance Centre (CSRC) in Ghana has shown. So let’s change the definition. 3. A process of positive change, without limits or conclusion.